It’s 2019, and hotels are no longer just a place to sleep for the night. Instead, hotels are lively and festive places where people connect. As designers, we focus on the design trends we expect to see at hotels in Australia this year. Since The Hilton Sydney opened in 1974, the hotel industry in Australia has been rising and booming ever since. Hotels in Australia faced unexpected lows in the 2000’s. This is one reason hotel chains and properties are working hard to be different from their competitors. Let’s take a look at certain areas where we could see change, in 2019. In 2018, we experienced a trend towards neutralized colours. Pale tints and soft shades like washed out pink, blue, cool grey and white were prevalent. We also saw a rising trend in colours like rose gold and silver. However, in 2019, the director of design at HVS design, Christine Shanahan, says that hotels can be seen moving away from using pale colours and going towards washing a room with bold and natural colours. The reason behind, is that people having seen neutralized colours for a while. Now, they have started to enjoy bright and welcoming colours once again. Not only does it provide a natural feel, but also creates energy in the room. When looking at custom furniture in Sydney, we can see this factor becoming prevalent in furnishings and single walls. Green is likely to be everywhere in 2019. According to Darren Palmer, one of Australia’s most renowned and influential interior designers, interior trends for 2019 are all about getting back to nature. He also said that he notices Coral colours everywhere in Calile, Brisbane in Fortitude Valley. The colour ‘Living Coral’ is an “animating and life-affirming shade of orange with a golden undertone” says Darren. Speaking of inspiration from nature, be ready to see more natural elements in hotel lobbies and rooms like hanging plants, creepers, living walls, etc. Such practices don’t affect the quality or wellness of the structure or room which is why they are welcome. “People want greenery back as they need the warmth of something natural and alive” says Christine Shanahan, director of design at HVS Design. A lot of prestigious hotels are now focused on providing people an experience that connects them with nature’s elements. One example is Peppers Noosa Resort in Queensland. This quiet retreat is set in the middle of the rainforest of Noosa National Park, providing magnificent sea views and eco-friendly accommodations. When it comes to furnishing, velvet and other rich materials will be seen more and move. These tend to create a feeling of warmth and comfort during colder seasons. Instead of using modern furniture, we see a lot of hotels moving towards traditional antique-style furniture. Hotels are now more inclined towards focusing on their heritage and history through their designs, be it furniture, walls, paintings or even service. Through the years, studies have shown that travellers prefer valuable experiences instead of tangible objects. They seek the comfort they get at home, which is why it is important to make the hotel rooms and public areas feel more homely and residential. One example is the QT Resort’s colourful custom furniture in Sydney. In order to contribute to the hotel heritage, a lot of hotels in Australia are now inclined towards custom built furniture instead of ready-made furniture. Darren Palmer also addresses the fact that the demand for custom hotel furniture suppliers in Australia will continue to rise in 2019 as more and more hotels and resorts want their furniture to also reflect a lifestyle. Be ready to see a change in sitting arrangements too, as we have seen a rising trend of using indoor furniture for outdoor purposes. It does make sense given the warm climate of Australia, but in 2019, this trend is expected to grow. We also have seen the rise in the usage of pod-like areas. These areas are generally used by people who prefer a bit of privacy in public places like the lobby, restaurants, and outdoor gardens. As custom hotel furniture suppliers in Australia, we also expect to see a lot of changes in the design of furniture this year. Glass is not believed to be a man-made product. Scientists claim that Mother Nature creates glass as well. Glass is formed when a molten material cools so rapidly that there is not enough time for a crystalline structure to form. For example, if lava from a volcano cools down rapidly a glass like rock is formed called obsidian. A wide variety of styles and uses makes glass decor a popular choice for many hotels and resorts. Glass is made up of materials like sand, soda, ash and limestone. This makes glass completely recyclable. Recycled glass not only saves resources, it also is beneficial to the manufacturers as this recycled glass can substitute for 95% of raw materials. Resin is a solid, highly viscous substance of either plant or synthetic origin. Natural resin is secreted by plants and is used to manufacture various products. Resin furniture is made from synthetic resins. Synthetic resins behave like the natural ones, and also share some common properties. Therefore, consumers concerned about the environment may find this class of furniture a suitable alternative. Resin furniture is often used together with wood to make unique and creative designs. When you shop for patio pieces you can find everything from tables and chairs to gliders and swings. These types of furniture come in a variety of colours, sizes, and design styles. Read on to know about a few interesting uses of glass and resins for your hotel or resort furniture. For a stunning touch to your interior design, we can use glass or ceramic pieces to create an intricate mosaic that will catch the eye of your guests. These mosaics are set in stone or wood and can be used as a feature wall, flooring, or even a luxury table top. The colour of glass can be changed by simply adding metallic salts during the manufacturing process. For example, adding Chromium gives the glass a deep green colour. This stained glass effect is often used in windows, creating colourful patterns when the light shines through. Resin Wood coffee tables are a beautiful and unique way to add some colour to your wooden designs. These highly sought after pieces are created by casting clear or coloured resin into your wooden table top. This effect can transform a seemingly normal table top into a one of a kind centerpiece for your interior. Add the finishing touch to your decor with a custom designed feature piece. We’ll work together with you to to design the perfect creative and beautiful piece that will enhance the aesthetics of your interior and add that dash of style. Resin panels are environmental friendly and fashionable. They are fireproof and water resistant. Since resin panels are translucent; they can be used as screen walls in hotel lobbies, as wardrobe doors, and more. Due to the excellent resistance to heat, high adhesive strength and resistance to chemicals, resin is gaining widespread popularity in the furniture industry. With 2018 coming to a close, we wanted to take this time to look back on what has been accomplished this year. 2018 has been a busy but exciting year with a lot accomplished and a lot more to look forward to! Earlier this year, Onestop was able to celebrate 10 years in the industry of custom hospitality furniture. In celebrating these 10 years and the steps it took to reach our goals, we’d like to express our gratitude to all those we have worked together with over the last decade; who helped us grow from just a small team to one of the global leaders in customised hospitality furniture. We celebrated this momentous event with a delicious dinner at 665 Degree Fahrenheit at Andaz. In April this year, we took a trip to the Travel Trade Maldives 2018 – a supplier expo for companies in the travel industry. Here, we had the amazing opportunity to showcase our portfolio and some of the unique materials we work with, as well as engage with reputable leaders in the Maldivian hospitality industry. During the past 12 months, we also completed a number of exciting projects across The Maldives and Southeast Asia. This project included built-in and loose furniture in public areas of the resort, as well as 23 guest rooms. Also situated in the Maldives, this project focused on both built-in and loose furniture and décor across 54 rooms and all public areas. For this refurbished deluxe beach villa, we managed all built-in and loose furniture for 28 rooms in the resort. Aside from the rest of what we’ve been busy with, we’re also happy to announce the availability of a new service. Instead of only focusing on custom hospitality furniture, we now offer complete interior fit-out services – giving our clients a complete onestop solution to their interior needs. To date, we’ve managed a number of interior fit-out projects across the region. One such project is the Singha Estate Mega-project in the Maldives. Singha Estate, in partnership with Café Del Mar, has released plans which consist of a yacht marina, retail outlets, a hotel and stunning white sand beach for the first phase. Aside from Singha Estate, we’ve also worked together with Hard Rock Hotel for built-in furniture in rooms and public areas, Saii Lagoon Maldives – Curio Collection by Hilton: built in furniture for rooms & public areas, interior fit out works for public areas at Café Del Mar Maldives, as well as The Marina @ Crossroads Maldives. In closing, as 2018 comes to an end, we’d like to turn our thoughts to all those who helped make our progress possible. We thank you for the trust and support throughout the years and we are looking forward to a new year that brings new challenges and opportunities for all of us. With that, we’d like to wish a Happy New Year 2019 to all, with a fruitful and prosperous year to come. 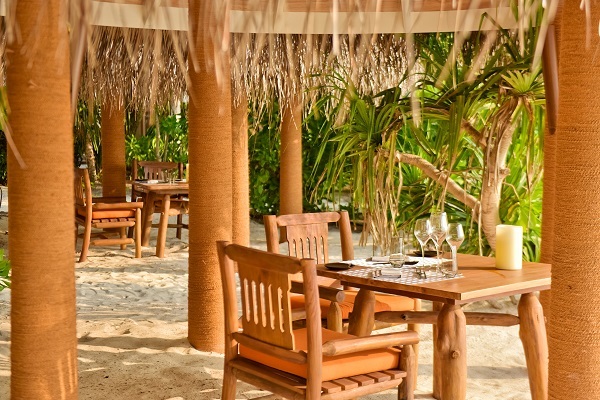 Originally published on Hotelier Maldives. 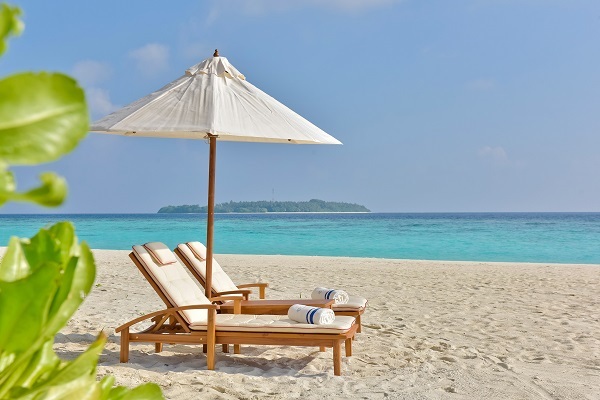 The Maldivian hospitality industry has today grown to a level previously unthought of. With the country labelled as one of the top luxury destinations, guests expect the very best in all aspects of a resort. The design and furnishings of a resort are key to creating a lasting impression and ensuring a luxury tropical island vacation for all visitors. In the “Suppliers You Should Know” segment of Hotelier Maldives issue 33, we put the spotlight on some of the leading furniture suppliers. Here, we take a brief look at Onestop. Have you introduced any new products? We unveiled our A+F range during the Guesthouses Maldives Conference 2017. Unlike large resorts and hotel chains, guesthouses often have limited budgets for international marketing and trade shows. However, there is growing support for guesthouses to work together with the government to promote this market overseas. The Onestop display at the conference showcased four different room styles, including loose furniture and accessories. During the event, guests were able to view the actual furniture and even test it out. We are currently working on an outdoor range of furniture that will be launched towards the end of 2018. We are consultants with well-versed backgrounds in design and engineering. We have our client’s best interests at heart, and with everything we have learned over the years, we’ll guide our clients through each stage of a project, from idea to design and engineering to the finished product. Our technically qualified staff will help translate an idea into a workable vision that fits perfectly into any development’s needs. Instead of the typical assembly-line process adopted by other hotel furniture manufacturers, our projects are underpinned by our unique blend of Chinese high-tech machine-centric production and traditional Indonesian craft techniques. Our strengths come from a combination of skills and expertise rooted in various manufacturing techniques – both modern and traditional. Most importantly, we employ a close collaborative process to ensure every project’s success. For queries, call +65 6743 3665 or email enquiry@onestop.sg. Onestop is happy to announce a new addition to our services. We want to help our clients to get their interior fitout done as smoothly as possible. 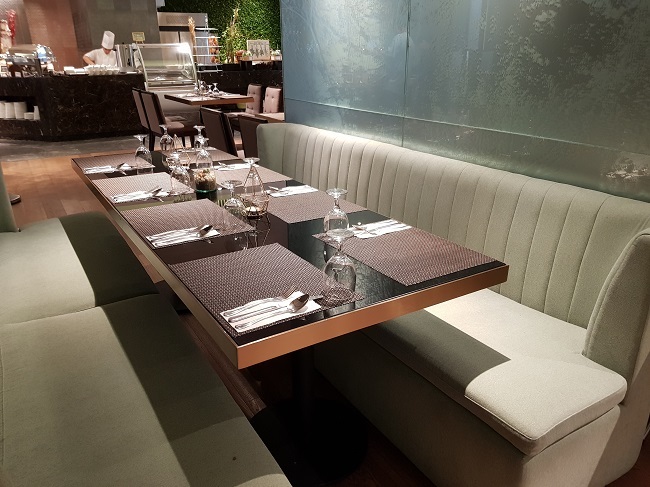 While we had previously focused mainly on custom made furniture for loose fittings, we’re now including complete interior fitout so we can be your Onestop provider of hospitality and f&b interior design. What makes Onestop Interior Fitout Services Different? When working on your project, we’ll bring our own team of on-site carpenters, installers, and even on-site workshops. This enables us to completely customise the space according to your design. We completely handle every aspect of the interior fitout. This includes material sourcing, preparation, installation, and finishing before handover – a complete one-stop solution. Some of our specialities include feature walls, roofs / shades, built-in receptions, lobby counters, sculptures, bespoke lighting, and artwork. With our own factories in China, Indonesia, and Malaysia, we also have experts in working with a wide variety of different materials. Some of which are wood, plywood, stone, metal, and exotic finishes such as coral and leather. When taking on a new interior fitout project, materials are first prepared at our main factories in our manufacturing bases. Next, we’ll transport our workers to construct lodging, warehouses, and workshops at the site before work begins. Once this is ready, materials are shipped to the location, followed by the carpenter team to complete the projects within the given timeline. Every space that we work with has its own unique characteristics and potentials. Whether it’s a cozy café or expansive resort, we focus on maximising the design possibilities of every project that we undertake. We take into account things like high ceilings, or assymetrical layouts, to find the interesting dynamic that makes your space stand out. Combining space planning with maximum client support and professional workmanship, we aim to make every individual project a unique work of art. We make use of key design principles combined with state of the art visualisation software to reimagine your space according to a theme or idea that you may have in mind. With decades of industry experience working with hospitality and F&B interiors around the world, our team is dedicated to delivery exceptional results every time. We pride ourselves in providing outstanding customer service and work ethic as we help you transform your visions into reality. With many years working together with clients in the hospitality and F&B industry, we understand the need for getting things done on time. In a fast-paced industry like hospitality and F&B furniture, urgent requests and tight deadlines are the norm. This is why we create carefully managed schedules for each of our hotel or F&B furniture projects to ensure that each specific task is completed according to schedule. Interested in knowing more about our interior fitout services? Check out our portfolio here or get in touch with us to discuss your project. Teak is an exceptionally durable wood and is a popular choice for hotel and resort furniture. The wood is particularly ideal for outdoor use, such as patio and garden furniture. Teak is stronger than many other hardwoods due to its natural oil finish. This helps it to withstand harsh weather conditions better than other kinds of wood, and even protects it from moisture as well as insects. Because of its unique properties, teak is much sought after. Teak furniture is often used in tropical or coastal climates, such as in the Maldives, Philippines, Singapore and more. Teak furniture can be used for a number of uses, both indoor and outdoor. It can also come in different finishes, whether natural, oiled, sealed & varnished. Although teak is very strong and durable, it still requires care in order to last even longer. Of course, outdoor furniture would require a little more care than indoor teak furniture. There are several important steps that you can take to ensure your teak furniture lasts a long time. A little maintenance can go a long way Here are just a few tips you can follow. Keep your teak wood clean. This can be done using a soft cloth, sponge, or brush. Keeping your teak free from a build-up of dirt is just the first step to making your teak last longer. When cleaning, always be sure to follow the direction of the wood grain to prevent unnecessary scratching. Also avoid using rough brushes or cleaning equipment that may scratch your wood. This is not necessarily to do with maintenance, but rather in helping your wood to retain its colour. 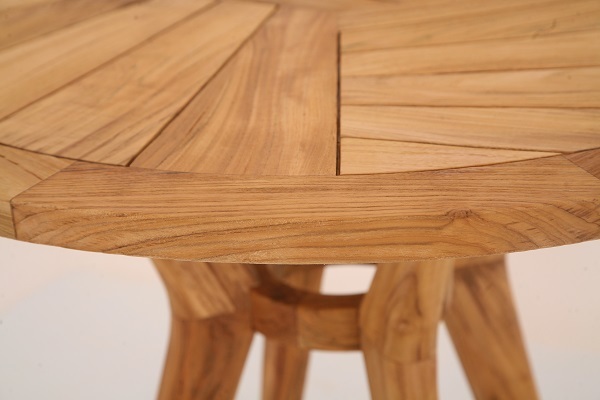 Oiling your teak is more applicable for indoor furniture. Before beginning, ensure that you have thoroughly cleaned your furniture to remove old oils. Once this is done, re-oiling can help to restore its original look. Outdoor teak furniture will eventually change from a deep brown to an elegant silver-grey. On the other hand, indoor teak furniture will gradually become darker brown over a period of perhaps a year. these are natural changes which do not affect the quality or durability of your teak. In summary, while teak furniture may be a very durable and long-lasting type of wood, its important to know how to care for your teak furniture properly to keep your teak looking beautiful for years to come.